It’s gone. 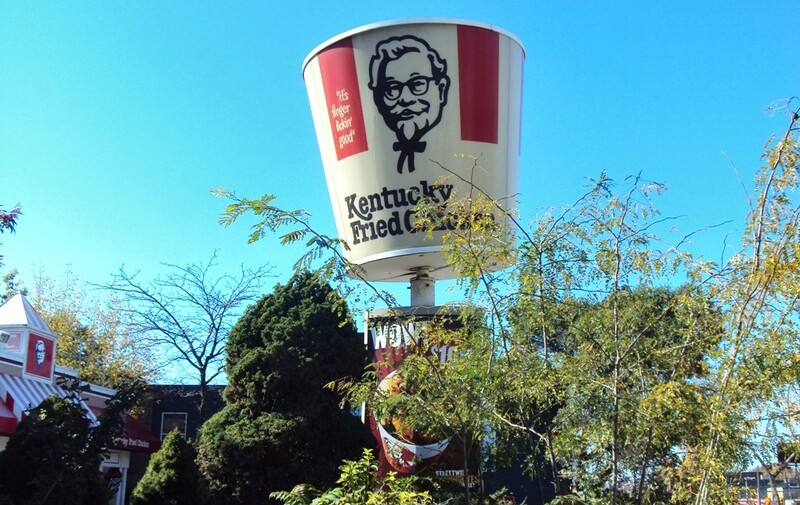 The KFC bucket perched on a two-story high pole dominating the southwest corner of St. Clair West and Hendrick Avenue is no more. 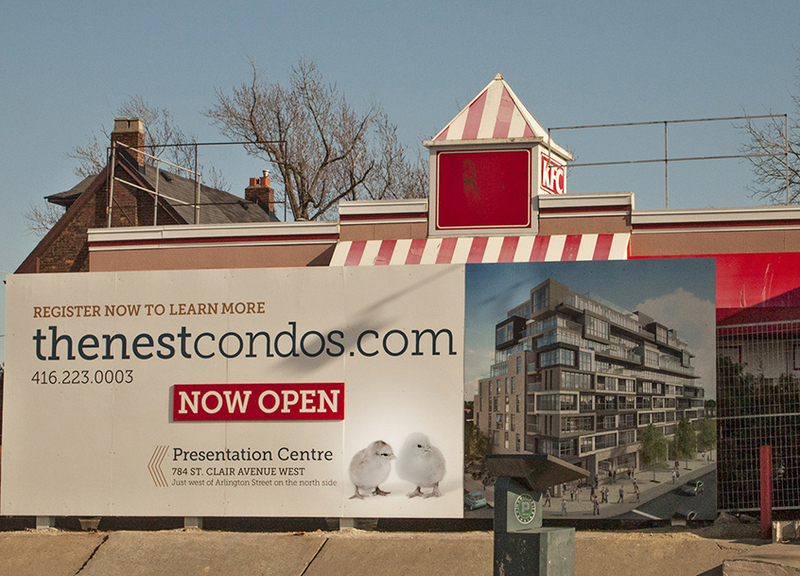 The takedown of Harland Sanders’ bucket, with the colonel’s take-no-prisoners smile, is a sign that the street has turned a corner: 829 St. Clair West will no longer turn birds into extra crispy tenders. No more Hot Wings or Double Down Sandwiches; no more KFC bowls or value boxes. Gone too is that smell of fried chicken, coated in a secret mix of 11 herbs and spices that saturated the neighbourhood for decades. 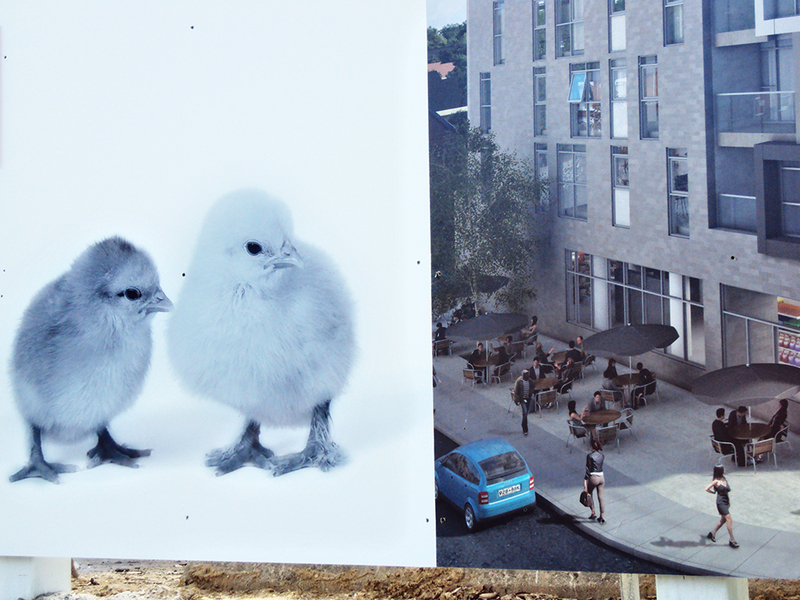 Proving that St. Clair West is a bird-friendly community and fitting right into the neighbourhood, along with the Nesting Project on Rosemount Avenue, is The Nest the new condominium development swooping down on the colonel’s former niche. It offers birds of a different sort somewhere to roost. It will occupy the former KFC site and the adjacent Cornerstone Baptist Tabernacle and Patachou Bakery properties – two buildings, and pastries, I will miss. Patachou Bakery’s two Toronto locations closed in May.